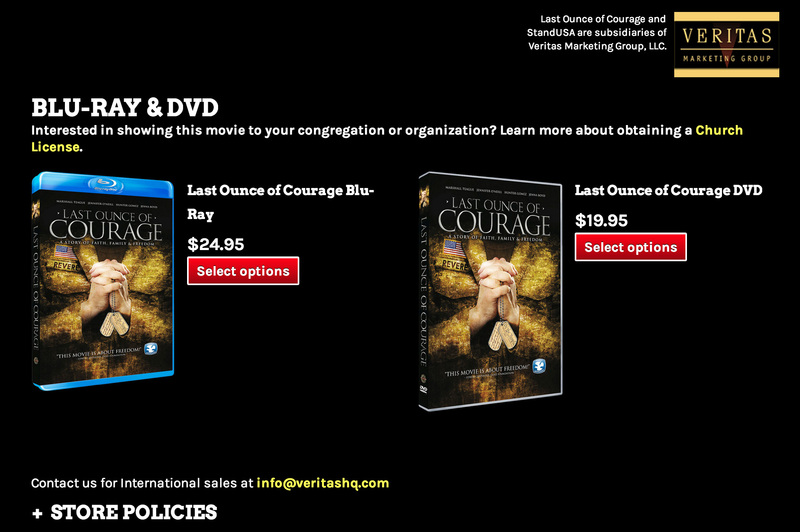 I created an online store for the movie, Last Ounce of Courage, to sell DVDs, Blu-Rays, and church licenses. I worked directly with our client to meet all her requirements, from major features to design tweaks. We had already built a site for Last Ounce of Courage on WordPress, so I researched WordPress e-commerce plugins to find a combination that would work. 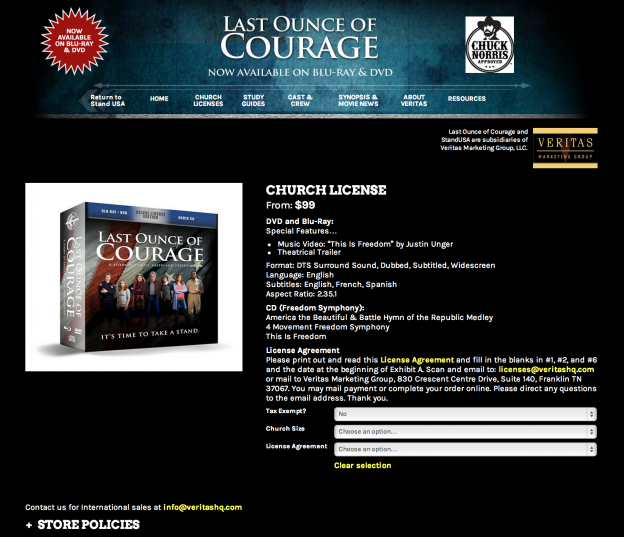 One of our designers mocked up main store pages for DVD/Blu-Ray sales and church license sales, and I styled the store to match the mockups, which required CSS and subtheming store template PHP files. Then I styled the rest of the checkout pages to match, and I made a few adjustments to the templates and settings, so the user experience would be simpler while still delivering the project on schedule. Our client was pleased with the result, and I provided guidance on how to manage orders and affiliates. This entry was posted in Portfolio on March 7, 2013 by admin.